Why do people tend to repeat patterns that make them unhappy? Why do we react the way we do? And why is it so difficult to let go of the past? Your inner child is your core emotional being, the “person” who runs your life when you least expect them to—or want them to. Your inner child should be a blessing, not a tyrant. 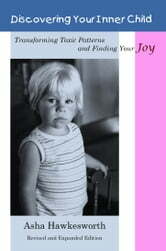 “Discovering Your Inner Child” helps you to understand your inner child so that you can begin to make new choices to change your life and find your joy.